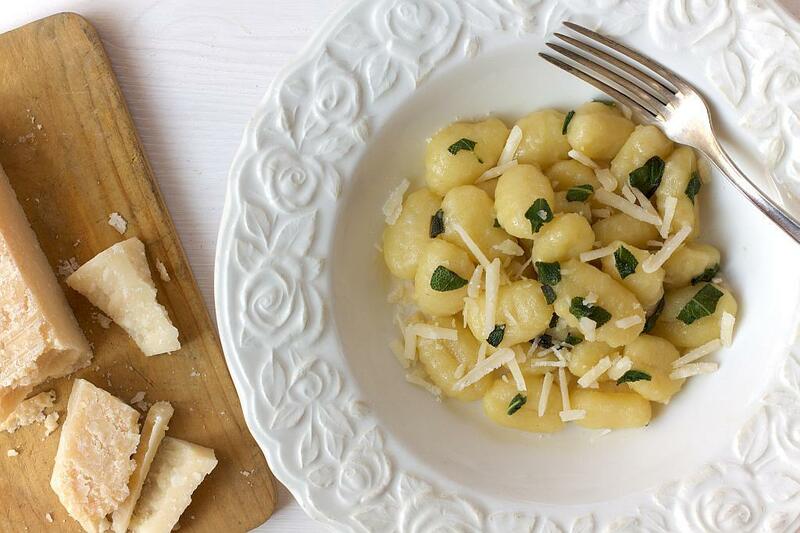 1Bring a large pot of salted water to a boil, add gnocchi and wait until they rise to the top, drain them and add them to a large bowl with some extra virgin olive oil. 2Melt the butter in a pan on low heat, add sage leaves, salt and pepper. 3Stir for half minute and add gnocchi. Toss gently, add Parmesan cheese and serve. See our Homemade Gnocchi recipe.